Team Triton driver Michael Sieders admits getting back into his Mitsubishi "did scare me a bit" after a massive rollover on debut in the ECB SuperUtes Series. Standing in for Craig Dontas at Queensland Raceway in July, Sieders was clipped in the third race and tipped into a high-speed rollover through the gravel trap at Turn 2. Sieders escaped the wreck unscathed and a new chassis was delivered to the Sieders Racing Team the following morning by Mitsubishi Australia. 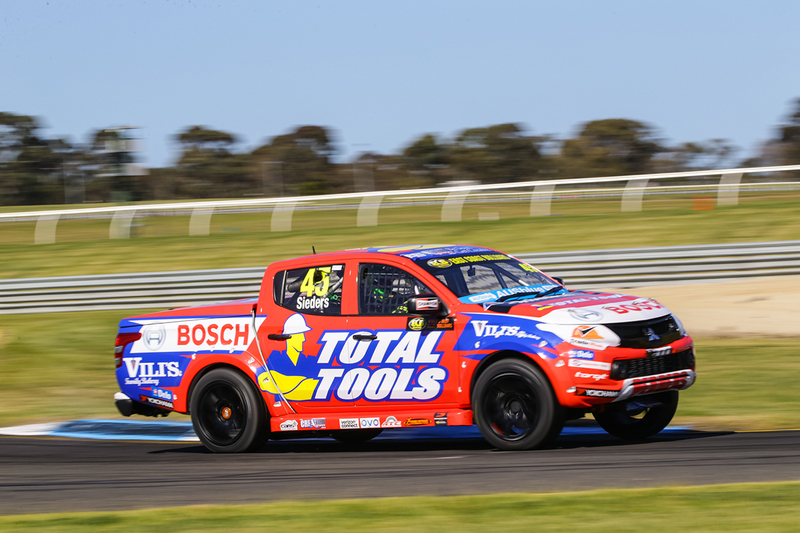 He shook the new Triton down at Wakefield Park on the Monday week of Sandown, his second SuperUtes appearance, running that did more than simply get the car ready. "We were supposed to be doing a test day and we actually didn't finish the car till pretty much Monday and we luckily got to do a few laps at Wakefield," Sieders told Supercars.com. "We had a few little issues with the car, being a brand new car being built, we fixed those issues and I felt heaps better. "The whole build time I was talking to cousin Luke and I wanted to get back in as soon as I could, because it did scare me a bit. "Once we did that test day I felt a lot better, but my old man said, 'if you don't feel confident being back in, I don't want you driving, because last thing you want is to hesitate and make another mistake'. "I felt good enough to be in the car and I just had to put it behind me." At Sandown, Sieders started sixth and finished seventh in Race 1, in the Total Tools Triton. 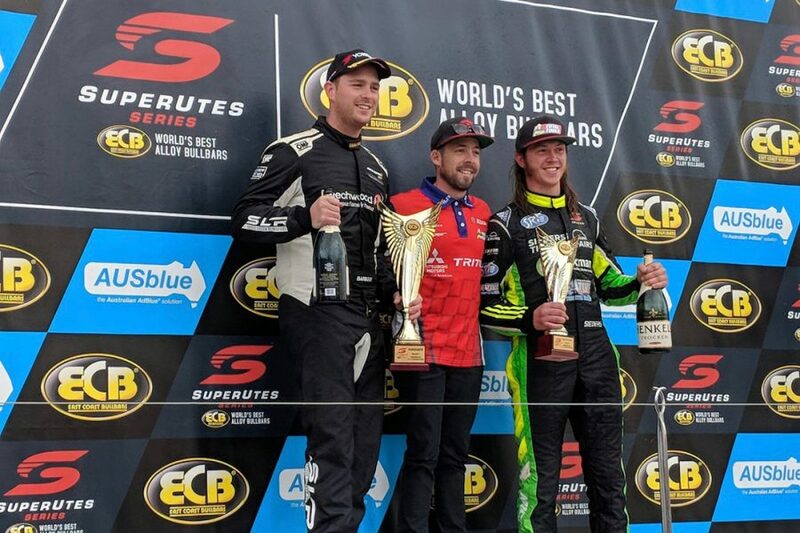 The 23-year-old claimed a maiden SuperUtes victory in the reverse-grid second leg, leading a Mitsubishi one-two from Elliot Barbour, who took out the round with two race wins. A tangle with with Ryal Harris on the opening lap in the third leg dropped Sieders to ninth, but he battled back to take third for the race and round. "I couldn't ask for any more, it would've been nice to be on pole, but Elliot had great speed throughout the weekend and it is his home track," Sieders added. "The experience is what he has over me and I haven't driven a race car much, that was my eighth round in a race car. "I had done go-karts when I was a young fella and I just lack experience, if I could get more time out on track, then I'd do it in the future. 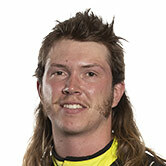 "I'm stoked, every time you're out on the track you don't want anything bad to happen, you want to finish well. "When that altercation happened in Race 3 I thought 'mate, I've had such a good weekend, I can't let it get away from me' and I bloody tried as hard as I could." He sits 13th in the SuperUtes standings after contesting two rounds, with the series to resume on October 4-7, as part of the Supercheap Auto Bathurst 1000. Sieders is set to line up alongside Dontas at Bathurst for Team Triton, the latter returning after sitting out the last two events. In other changes to the field from Sandown, V8 Utes champion Kim Jane will make his SuperUtes debut in Steve Wilson's Isuzu D-MAX. Chelsea Angelo will do the same aboard a second Ranger Racing Ford, while Western Sydney Motorsport is working on a new Toyota Hilux for Charlotte Poynting.